It's time to rock out and do some karaoke with the Chad Valley Designafriend Music Accessory Set. 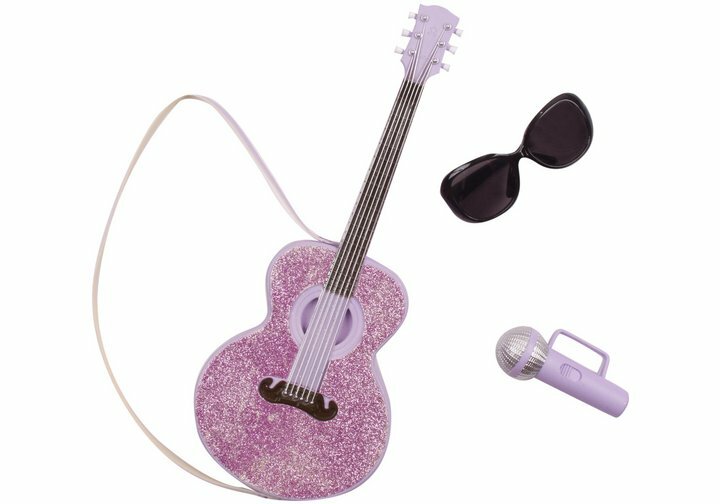 Comprised of a delightful light purple guitar adorned with a glittery front, a matching purple microphone and of course a pair of sleek black sun glasses to complete the 'look'. Your doll be the coolest member of the band with these amazing accessories! Set comes carefully gift packaged in a boutique style box with soft tissue paper. Get money off with April 2019 free Argos voucher codes, see if there's a promo code for the Chad Valley Designafriend Music Accessory Set product. Argos may be out of stock of this product. To enhance your shopping experience you may also be redirected to a search results page when you click an outbound link.